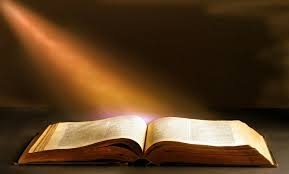 We believe that the Holy Bible was written by men divinely inspired, and is a perfect treasure of heavenly instruction; that it has God for it’s matter; that it reveals the principles by which God will judge us; and therefore, is and shall remain to the end of the world, the true center of Christian union, and the supreme standard by which all human conduct, creeds and opinions should be tried. We believe that there is one and only living and true God, and intelligent, spiritual and personal Being, the Creator, Preserver and Ruler of the universe, infinite in Holiness and all other perfection to whom we owe the highest love, reverence and obedience. He is revealed to us as Father, Son and Holy Spirit, each with distinct personal attributes, but without division of nature, essence or being. We believe that man was created by the special act of God, as recorded in Genesis. “So God created man in his own image, in the image of God created He him; male and female created He them” (Genesis 1:27). “And the Lord God formed man of the dust of the ground, and breathed into his nostrils the breath of life; and man became a living soul” (Genesis 2:17). We believe that the salvation of sinners is wholly of grace, through the mediatorial office of the Son of God, who by the Holly Spirit was born of the Virgin Mary and took upon Him our nature, yet without sins; honored the divine law by his personal obedience and made atonement of our sins by His death. Being raised from the dead, he is now enthroned in Heaven, and uniting in His person the tenderest sympathies with divine perfection, He is in every way qualified to be a compassionate and all sufficient Savior. We believe that justification is God’s gracious and full acquittal upon principles of righteousness of all sinners who believe in Christ. This blessing is bestowed, not in consideration of any works of righteousness which we have done, but through the redemption that is in and through Jesus Christ. It brings us into a state of most blessed peace and favor with God, and secures every other needed blessing. We believe that the Scriptures teach the blessings of salvation are made free to all by the Gospel; that it is the immediate duty of all to accept them by cordial, penitent and obedient faith; and that nothing prevents the salvation of the greatest sinner on earth, but his own determined depravity and voluntary rejection of the gospel; which rejection involves him in and aggravated condemnation. We believe that repentance and faith are sacred duties, and also inseparable graces, wrought in our souls by the regenerating Spirit of God; whereby, being deeply convinced of our guilt, danger, and helplessness, and of the way of salvation by Christ, we turn to God with unfeigned contrition, confession, ands supplication for mercy; at the same time heartily receiving the Lord Jesus Christ as our Prophet, Priest, and King, and relying on Him alone as the only and all-sufficient Savior. We believe that sanctification is the process by which, according to the will of God, we are made partakers of his holiness; that it is a progressive work; that it is begun in regeneration; and that it is carried on in the hearts of believers by the presence and power of the Holy Spirit, the Healer and the Comforter, in the continual use of the appointed means, especially the Word of God, self-examination, self-denial, watchfulness, and prayer. We believe that such only are real believe as endure unto the end; that their preserving attachment to Christ is the grand mark which distinguishes them from superficial professors; that a special providence watches over their welfare; and that they are kept by the power of God through faith unto salvation. We believe that the law of God is the eternal and unchangeable rule His moral government; that it is holy, just, and good; and that the inability which the Scriptures ascribe to fallen men to fulfill its precepts arises entirely from their love of sin; to deliver them from which, and to restore them through a mediator to unfeigned obedience to the Holy law, is one great end of the gospel, and of the means of grace connected with the establishment of the visible church. We believe that a visible church of Christ is a congregation of baptized believers, associated by covenant in the faith and fellowship of the gospel; observing the ordinances of Christ; governed by his laws; and exercising the gifts, rights, and privileges invested in them by His word; that it’s only scriptural officers are bishops, or pastors, and deacons, whose qualifications, claims and duties are defined in the epistles of Timothy and Titus. We believe that Christian baptism is the immersion in water of a believer, in the name of the Father, and the Son, and the Holy ghost; to show forth, in a solemn and beautiful emblem, our faith in the crucified, buried and risen Savior with its effect in our death to sin and resurrection to a new life; that it is prerequisite to the privileges of a church relation; and to the Lord’s Supper, in which the members of the church, by the sacred use of bread the wine are to commemorate together the dying love of Christ…preceded always by solemn self-examination. We believe that the first day of the week is the Lord’s Day, or Christian Sabbath; and is to be kept sacred to religious purposes, by abstaining from all secular labor and sinful recreation; by the devout observances of all the means of grace, both private and public; and by preparations of the rest that remaineth for the people of God. We believe that civil government is of divine appointment for the interest and good order of human society; and that magistrates are to be prayed for, conscientiously honored, and obeyed’ except only in thins opposed to the will of our Lord Jesus Christ, who is the only Lord of the conscience, and the Prince of the Kings of the earth. We believe that there is a radical and essential difference between the righteous and the wicked. Those only who are justified by the Holy Spirit are truly righteous in His sight. Those who continue in impenitence and unbelief are in His sight wicked and are under condemnation. This distinction between the righteous and the wicked holds here and after death, and will be made manifest at the judgment when final and everlasting awards are made to all men. We believe that Christianity is the religion of enlightenment and intelligence. In Jesus Christ are hidden all other treasures of wisdom and knowledge. All sound learning is therefore a part of our Christian heritage. The new birth opens all human faculties and creates a thirst for knowledge. An adequate system of schools is necessary to a complete spiritual program for Christ’s people. The cause of education in the Kingdom of Christ is co-ordinate with the causes of missions and general benevolence, and should receive along with these the liberal support of the churches. We believe that every Christian is under obligation to seek to make the will of Christ pregnant in his own life and in human society; to oppose in the Spirit of Christ every from of greed, selfishness, and vice; to provide for the orphaned, the aged, the helpless, and the sock; to seek to bring industry, government and society as a whole under the sway of the principles of righteousness, truth and brotherly love; to promote these ends Christians should be ready to work with all men of good will in any good cause, always being careful to act in the spirit of love without compromising their loyalty to Christ and His truth. All means and methods used in social service for amelioration of society and the establishment of righteousness among men must finally depend on the regeneration of the individual by the saving grace of God in Christ Jesus. We believe that God is the source of all blessings, temporal and spiritual; all that we have and are, we owe to Him. We have a spiritual debtor-ship to the whole world, a Holly trusteeship in the gospel, and a binding stewardship in our possessions. WE are therefore under obligation to serve Him with our time, talents and material possessions; and should recognize all these as entrusted to use to use for the glory of God and helping others. Christians should cheerfully, regularly, systematically, proportionately and liberally contribute of their means to advancing the Redeemer’s cause on earth. We believe that it is the duty of every Christian man and woman, and the duty of every church of Christ to seek to extend the gospel to the ends of the earth, the new birth of man’s spirit by God’s Holy Spirit means the birth of love for others. Missionary effort on the part of all rests thus upon a spiritual necessity of the regenerate life. It is also expressly and repeatedly commanded in the teachings of Christ. It is the duty of every child of God to seek constantly to win the lost to Christ by personal effort and by all others methods sanctioned by the gospel of Christ.